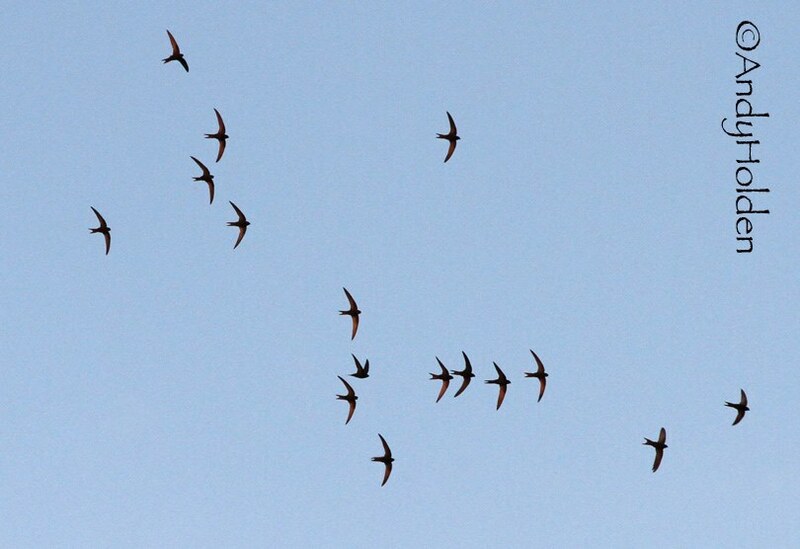 This week there was only Reg and myself observing the Swifts. As usual we started from the Burton Memorial Hall and worked through the different sites. At the start of the evening we did manage to count at one stage up to 25 birds, some screaming follow my leader parties of up to 12 birds. The skies were very busy tonight with birds at medium height, but occasionally coming down to lower levels. 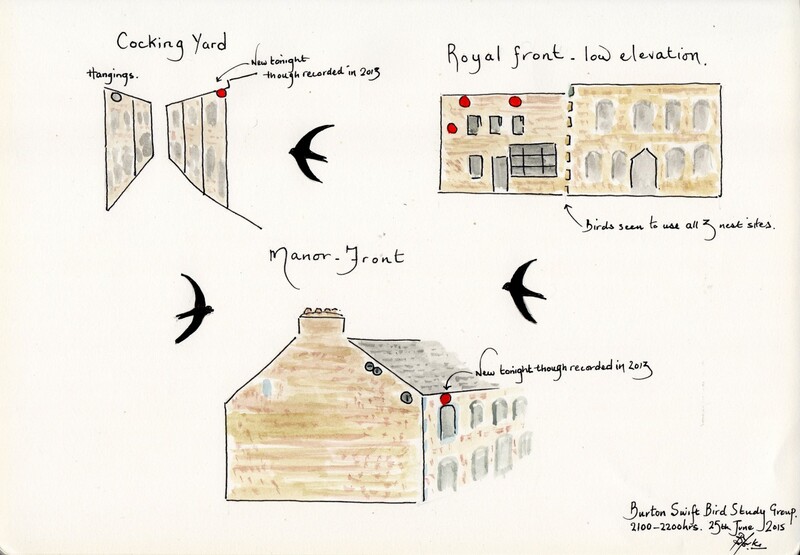 We did not have any birds again at the Cottages near to the Post Office, however we did manage to confirm a new site this year in Cocking Yard. In fact it was the same site which we recorded back in 2013. This now confirms both sites in Cocking Yard are being used. Moving on to the Royal, we did not witness any activity to the rear or sides of the buildings, but did witness birds coming down to all three sites on the front left hand side lower elevation. In fact we saw three visits to the nest site which is 4ft below the eaves on the LH side and we estimated that food was being brought to the nest site at approx a 30 minute interval. Moving on to the Coach House and the Manor House. Things seemed quiet with very little overhead aerial activity just occasionally you would see the screaming chasing birds going through. However by chance we were lucky to see one bird leaving a new (for this year, but old established site) site on the front of the Manor House, and this now brings the Manor House nest sites to three separate locations (One front and 3 RH side Gable). 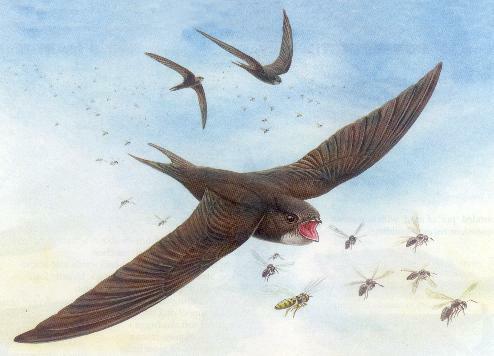 We were wondering if there was anyone out there who maybe interested in surveying the Swift population at nearby Borwick? if so please get in touch we would love to hear from you.